Primary headaches – Primary headaches are clinical conditions that are NOT symptoms of other disorders. Primary headaches comprise of migraine, tension headache and cluster headache. Secondary headaches – Secondary headaches arise from (and symptomize) other clinical ailments like sinus condition, brain tumor, head injuries, dental problems and allergies among others. According to the World Health Organization (WHO) estimates, the prevalence of headache disorders stands at 50% of all adults in the world as cited by Steiner et al (2015). This means that about half the world’s adult population has experienced headache within the last one year. Headaches are most common among the working population whereby up to three quarters of persons aged between eighteen and sixty five years have reported headache disorders in the past one year, and at least 30% of this population suffer from migraines. Additionally, up to 4% of all adults experience headaches for at least 15 days every month. While there are significant regional differences, headaches are a global problem that affects people in all walks of life irrespective of their geographical zones. Undoubtedly, headaches are painful and disabling. The 2013 Global Burden of Disease Study established that migraines are the sixth greatest cause of years lost to disability (YLD) globally (Steiner et al, 2015). Collectively, headache disorders were ranked third. The burden imposed by headache disorders on patients is easily recognizable. Some sufferers experience considerable personal miseries, financial strains as well as compromised quality of life. Recurrent headache attacks as well as perpetual fear of the next attack damages a person’s life at the workplace, home and at a social level. Other conditions usually arise as sufferers grapple with chronic headaches. For instance, compared to healthy people, persons experiencing migraines are in significant greater danger of having depressions. Headaches are nauseating pains in the head which can range from slight to severe aching and can happen at either side of the head. Headaches usually occur at specific points such as the back of the head, temples as well as at the forehead. Headaches can persist from as little as half an hour to as much as an entire week. Tension-type headaches are the most prevalent and can be prompted by various issues including anxiety, stress and muscle strain. Cluster headaches are another type of headache that comes in clusters and lead to severe pain at one side of the head. Clusters cause a sufferer to experience durations of headache attacks that are followed by instances that are headache-free. Sinus headaches accompany other symptoms of sinus infections, for example stuffy nose, coughing and fever. While pain from migraines can be moderate, some people experience pain so severe that they seek emergency care. In addition, while migraines usually attack one side of the head, it is not uncommon for people to have migraine headaches at both sides of the head. People with other kinds of headaches such as clusters and tension headaches may carry on with their day to day activities. However, migraine sufferers usually experience throbbing pain that makes it nearly impossible for them to perform daily chores. Secondary headaches symptomize an underlying health condition and can be caused by a wide range of conditions that vary significantly in severity. These causes comprise of acute sinusitis, blood clot in the brain, brain tumor, dehydration, concussion, glaucoma, hangovers, meningitis, stroke, toxoplasmosis, panic disorders and more. Some kinds of secondary headaches are sinus headaches, spinal headaches and rebound headaches. Western treatments for headaches usually involve the recommendation of nonsteroidal anti-inflammatory drugs or NSAIDS. The prescription of painkillers works just fine for occasional headaches. However, regular use of these drugs can cause secondary effects including gastrointestinal conditions like nausea, heartburn and diarrhea, liver stress as well as rebound headaches. Indeed, too much medication is known to cause rebound headaches, whereby excessive medication can be as little as two aspirins per day (Loh et al, 1984). Acupuncture needles are sterile and virtually painless and are instrumental, along with Chinese herbal medicine, to effectively alleviate headache and migraine. For thousands of years, TCM has had a remarkably consistent and philosophical outlook regarding the diagnosis, etiology, physiology as well as treatment plan for headaches and migraines. Research results (Linde et al, 2005; Diener et al, 2006; Loh et al, 1984) have consistently shown that acupuncture is a remarkably effective treatment modality for headaches and has been used to provide relief since the beginning of TCM. Acupuncture needles stimulate nerves to release hormones, such as endorphins, that trigger a response from your body. This immune and circulation system stimulation is how acupuncture relieves migraines and headaches. Acupuncture offers a huge advantage over Western medications in that it has no known side effects and does no harm. Indeed, numerous patients with chronic and recurrent headaches that had resisted conventional treatments have benefited from the curing abilities of acupuncture as their conditions have healed or shown incredible improvement. Acupuncture is highly effective in treating headaches, migraines and many other conditions. 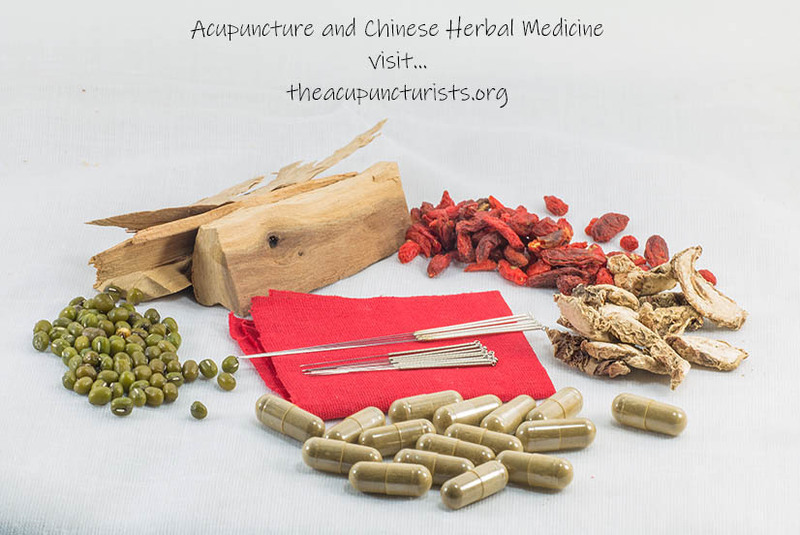 WHO recognizes acupuncture and TCM as viable treatment alternatives for dozens of conditions. Acupuncture is unique in that unlike Western treatments, it has no side effects and its healing effects are long lasting. A 1984 study established that acupuncture eased chronic shoulder and neck pain as well as related headaches, with symptoms not recurring for months. 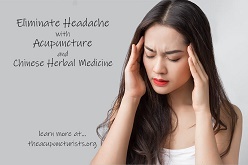 If you are suffering with headache or migraine, let The Acupuncturists help. They serve the cities of Margate, Coconut Creek, Coral Springs, Tamarac, Parkland, Deerfield Beach, and West Boca for 15+ years ad are eager to help relieve your pain today. Consultations are always free. Call today! Diener, H. C., Kronfeld, K., Boewing, G., Lungenhausen, M., Maier, C., Molsberger, A., … & GERAC Migraine Study Group. (2006). Efficacy of acupuncture for the prophylaxis of migraine: a multicentre randomised controlled clinical trial. The Lancet Neurology, 5(4), 310-316. Linde, K., Streng, A., Jürgens, S., Hoppe, A., Brinkhaus, B., Witt, C., … & Willich, S. N. (2005). Acupuncture for patients with migraine: a randomized controlled trial. Jama, 293(17), 2118-2125. Loh, L., Nathan, P. W., Schott, G. D., & Zilkha, K. J. (1984). Acupuncture versus medical treatment for migraine and muscle tension headaches. Journal of Neurology, Neurosurgery& Psychiatry, 47(4), 333-337.ynnand P erl’inman, L. (1984). Acupuncture and migraine. Steiner, T. J., Birbeck, G. L., Jensen, R. H., Katsarava, Z., Stovner, L. J., & Martelletti, P. (2015). Headache disorders are third cause of disability worldwide. The journal of headache and pain, 16(1), 1-3.